Panorama Point is well named. 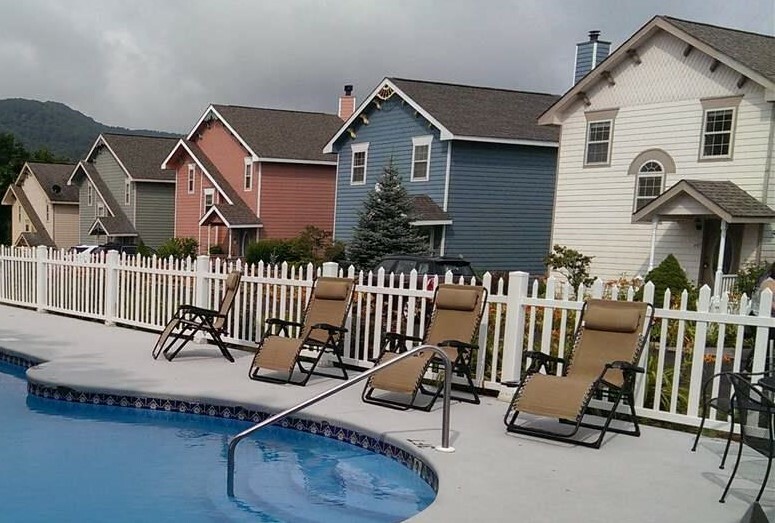 Gorgeous mountain views surround the quaint cul-de-sac neighborhood, with a clubhouse and community pool. Rolling mountains snuggled in a blue haze of clouds meet the eye at every turn. Even the drive up Ski View Drive, where the road curves and bends with the landscape, offers breathtaking views. Leaves skitter in the wake of car tires, and it’s the kind of drive that makes you lower your windows, taking in deep breaths of clean, mountain air. The pristine neighborhood consists of creamy and pastel homes with Victorian touches and white-picket fences. Pinks, blues, greens and creams of the painted homes stand out from the rolling hills behind them, sprinkled with the brilliant reds, golds and oranges of fall. The Victorian embellishments and white picket fences add to the overall charming village feeling. The clubhouse and pool, situated side by side, are centrally located within the neighborhood and make the area feel more like a community. The pool deck is outfitted with chairs, and the stunning panorama is the perfect view for lazy summer days spent lounging poolside. The picturesque white picket fence separates the pool from the paved road and provides peace of mind for families as well as a bit of privacy. The smooth pavement that lines the street is ideal for evening strolls, with spectacular sunsets sure to astound residents regularly. Most homes are outfitted with porches to fully appreciate the view. It isn’t hard to imagine curling up in a deck chair with a soft blanket, a steaming mug of hot cocoa in hand, and admiring the stars with the deep, satisfying quiet surrounding you. Whatever the current season, Panorama Point is sure to offer a beautiful view. Whether the trees are decked out in bright colors for fall, dusted with snow in winter, fresh flower and leaf buds in the spring, or full greenery for summer, a gorgeous view will always be just out the window. The shops and restaurants of Gatlinburg, Pigeon Forge and Sevierville are a short drive away, and the Great Smoky Mountains National Park is practically in your backyard. Panorama Point offers a sense of community in an area with breathtaking views, a sense of seclusion and the convenience of being a short drive from town. 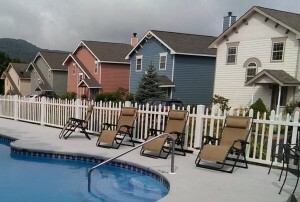 Are you interested in a full or part time residence in Panorama Point? The homes for sale in this neighborhood can be found here. Contact us to schedule a showing, or if you need any guidance on choosing the right neighborhood. We look forward to hearing from you!